Office 365 client applications are now released regularly with new features and fixes. As an IT Professional, you need to understand this new servicing model and how you can manage the releases, while your organization takes advantage of the new functionality. WMF 5.0 RTM replaces the WMF 5.0 Production Preview. You can install WMF 5.0 RTM without uninstalling WMF 5.0 Production Preview, but you must uninstall all other older releases of WMF 5.0 previews before installing the WMF 5.0 RTM. Note: If you are running Windows 10, you can get the same set of functionality available in WMF 5.0 RTM by updating to the November update of Windows 10 (Version 1511). If you have not already updated your Windows 10 system, select the Start button, then select Settings > Update & security > Windows Update > Check for updates. As stated in the Known Product incompatibilities section, don't install the 5.0 Framework on these servers. Also Microsoft team re-published the RTM packages and available for download now, access the below post for more details. PowerShell Gallery one stop resource for your PowerShell needs is now Generally available. If you're a Microsoft Premier customer, you now have access to 11 Hours of PowerShell WMF 5.0 Training Available through the Premier Workshop Library on Demand (WLOD) subscription. Office Communicator and Office Communications Server products will reach the end of extended support during within the next two years (1/9/2018). Also Lync 2010 transitioning from mainstream to extended support as of April 12, 2016. This is the right time for your to migrate your existing OCS R2 / Lync 2010 environment to either Skype for Business Server 2015 or Skype for Business Online. For migrating to Skype for Business Online, OCS R2 customers requires de-commissioning the existing system, enabling the users in Office 365, and having each user re-create their contact lists and re-curring meetings. For Lync 2010 customers, planning for Hybrid deployment and migrating users to Skype for Business Online is a possible option. To take advantage of the latest innovations with Office 365, migrating to Skype for Business Online is the best option and you can take advantage of Microsoft Fasttrack to begin your journey to the cloud. 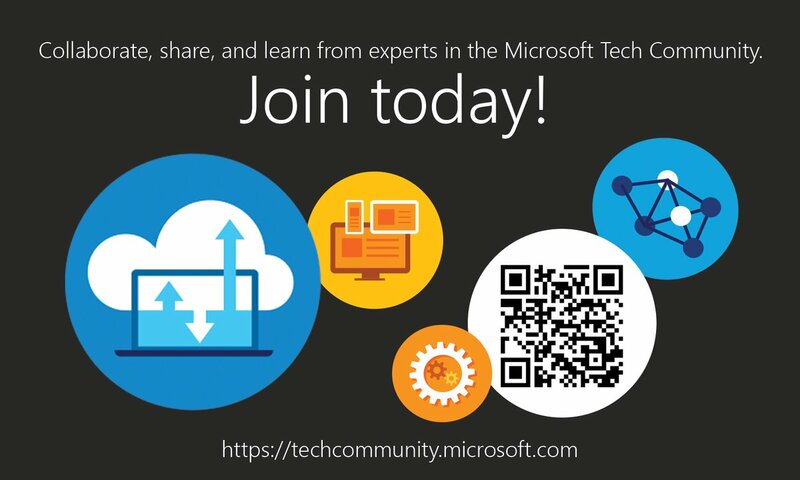 TechNet Virtual Conference 2016 is approaching Next week, March 1-3, 2016, Get yourself Registered soon. This Live Virtual Event comprises of 3 days of technology, inspiration and fun. 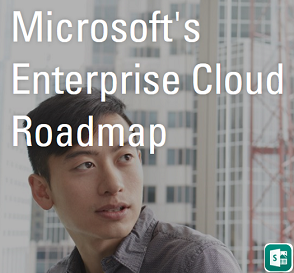 See what’s new and what’s next for IT Pros. Over three fast-paced days, you’ll be challenged, excited, intrigued, and inspired. We’ll explore the latest developments and disruptive technologies that are transforming industries and re-shaping how we live, work and play. Most awaited Azure AD Connect 1.1 is GA with Faster sync times, automatic upgrades and more, Also Microsoft team announced the General Availability of the device write-back and schema extension support capabilities. 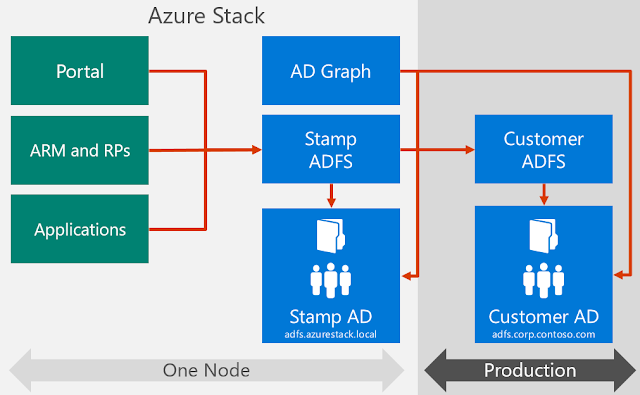 Read here : Azure AD Connect 1.1 is now GA – Faster sync times, automatic upgrades and more! 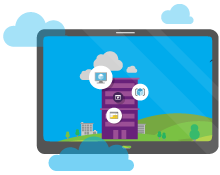 New Benefits added to Azure AD and windows 10 For domain Joined devices. Review here: More Azure AD and Windows 10 goodness: Enterprise State Roaming public preview! 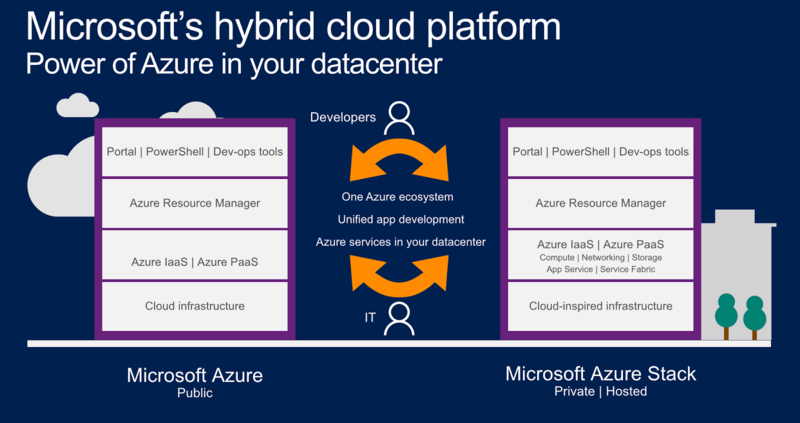 Above all Microsoft team announced the upcoming availability of Microsoft Cloud App Security and Azure Active Directory Identity Protection – Public Preview that adds more value to the Identity and Security innovations for your enterprise. Microsoft Windows Server 2016 Technical preview is now being evaluated by most of the Organization and the new Nano Sever, new headless deployment option for Windows Server 2016 is gaining momentum. 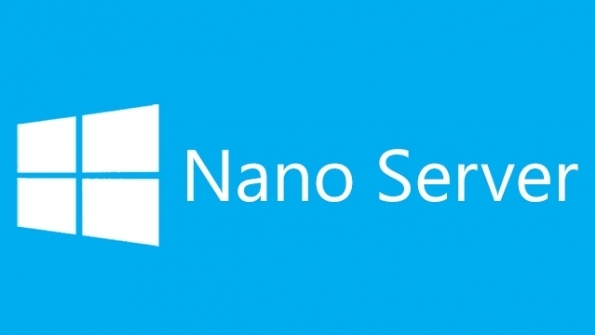 As a deeply refactored version of Windows Server, Nano Servers are designed to give you the lightest and fastest server OS configuration with fewer patch and update events, faster restarts, better resource utilization and tighter security. Access the Windows Server Blog post below to know more from Jeffrey Snover MSFT on Nano Server. Deployment and Management of Nano servers are simplified, now this forms the basis of Modern DataCenter that customers are waiting for and soon be adopted around the world. 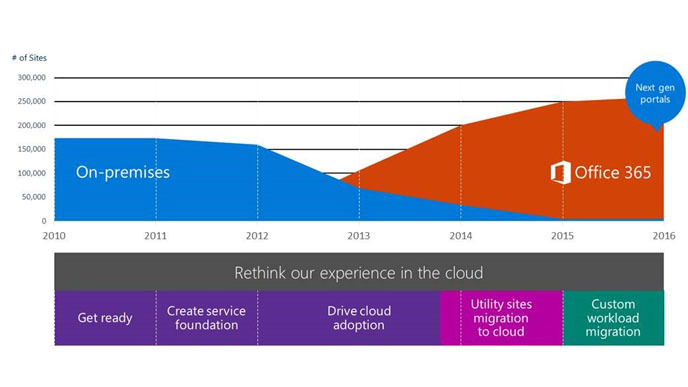 Build Awareness and Foster Adoption of Office 365! Attend this FREE Microsoft Office 365 webinar to understand what training resources are available and discover new ways to foster adoption. Register here: Build Awareness and Foster Adoption of Office 365! Join Office 365 Network for real time updates on Training resources, be a part of the larger audience and get your Office 365 Queries answered and share your expertise and experience with other Office 365 customers around the world. Office 365 scenario-based training provides inspirational tutorials to show you how you and your team can transform the way you work. 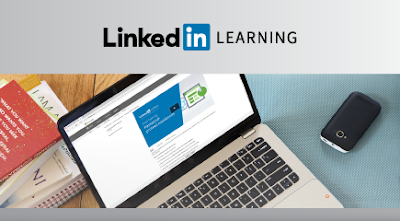 Be sure to access Office 365 Training Center for more learning resources. Microsoft team recently announced the availability of Yammer in Office 365 and with this announcement managing Yammer is moved to Office 365 Admin center. Some Organizations are not using Yammer in their Enterprise and this change of Yammer being available in Office 365 is something that caused an alarm with these customers and now you can manage Yammer License assignment at ease using portal and PowerShell as needed and also block users from accessing Yammer directly with their Office 365 identities without Yammer license in Office 365 Admin Portal. Be sure to review your Organization requirement for Yammer and configure things accordingly, read the FAQ section for more updates. Microsoft team announced various key enhancements to the service this month and below is a quick reference of 5 of them from Office blogs. Microsoft team announced new advanced security management capabilities for Office 365 that will improve IT visibility and control.This includes Office 365 advanced security alerts, Office 365 cloud app discovery and Office 365 app permissions. Also now Microsoft team is Extending Customer Lockbox to SharePoint Online and OneDrive for Business. Office 365 Groups received a lot of new enhancements in a row including Dynamic Membership(preview), File Quota management and few more as outlined in the below Office Blogs post, be sure to watch the Microsoft Mechanics video for visual experience. Auditing and reporting enhancements to meet the Organizational compliance requirements and also new file size limits for files uploaded to SharePoint Online and OneDrive for Business. Be sure to read the new changes to the address used to send notification email messages from SharePoint Online and update your user on the same. The first Office 365 Deferred Channel build (previously known as Current Branch for Business) is now available for Microsoft Office 365 for Windows (including Office 365 ProPlus, Office 365 Business, Project Pro for Office 365 and Visio Pro for Office 365). Make use of this to control the flow of changes to your environment. There are a few more announcements other than the above ones, be sure to read Office Blogs and stay updated. Microsoft Exchange team has made an significant announcement for Hybrid customers that, The Office 365 Hybrid Configuration wizard has been updated to support Exchange 2010. Most of the Hybrid customers with Exchange 2010 and still evaluating their migration path to either 2013/2016 based hybrid, this new announcement provides an opportunity to experience the new wizard during Hybrid changes in the environment. You can download the new wizard or wait till the next Update Roll-up as Microsoft team is updating the Exchange Management Console in Exchange 2010 SP3 RU13 with the new HCW. 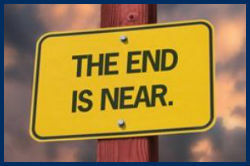 Microsoft team made one more critical announcement about Certificate expiration for Exchange 2013 Hybrid customers. Make sure to make the changes before 15th April 2016 deadline to ensure that your Hybrid Mailflow is not affected by the change. Plan for the manual change at the earliest if you cannot update the environment with the latest CU to stay safe with the changes. Make sure you don't install the .NET Framework 4.6.1 in your environment, as its not supported by Exchange. Read the blog post to understand more inline with Exchange Supportability Matrix and steps to block the installation of the update and roll back if its already deployed. * If you have On premises Lync/Skype for Business server then this above scenario applies for them too along with Exchange. Exchange Server Deployment Assistant updated with the new Exchange 2016 based deployment scenarios including Hybrid deployment with Exchange 2010 co-existence. The most awaited availability of Exchange 2013 and 2016 Exmon tool. Another great news for Exchange customers using Public folders. New update to Cross Premise Mailbox Permissions in Exchange Hybrid. Cross Premise Mailbox permission (Full Access) between an Exchange On premise mailbox to Exchange Online Mailbox and vice versa is now supported. 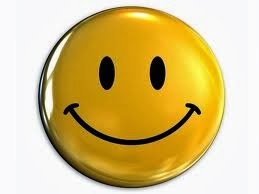 There are few pre-requisite like Outlook Client version and no Auto Mapping support. This is limited only to Full Mailbox permission and use of “Send-As”, “Receive-As”, or “Send on behalf” of mailbox permissions are not supported and follow the same guidance of Hybrid. OneDrive for Business Next Generation Sync Client first release deployment has begun in few of the Organizations, there are still some caveats exist with the new client and you should be aware of this limitations and start your deployment. This article is written to provide you with reference articles provided by Microsoft on this new sync client, I followed the instructions provided in the articles and tested the new sync client, it works well along with your personal OneDrive client and the old OneDrive for Business Sync client. Introduction to the OneDrive for Business Next Generation Sync Client - Get an overview of what the Next Generation Sync Client is all about. Deploying the OneDrive for Business Next Generation Sync Client in an enterprise environment - Learn how administrators can deploy the Next Generation Sync Client for Windows to users in their enterprise environment. Transition from the existing OneDrive for Business sync client - Learn how Windows users can transition from the existing OneDrive for Business sync client to the Next Generation Sync Client. Administrative settings for the new OneDrive Sync Client (OneDrive.exe) -Learn how administrators can control and manage the Next Generation Sync Client for their users through Group Policy. Which OneDrive sync client am I using? - Learn how to easily tell which OneDrive sync client you are using. OneDrive Next Generation Sync Client Release Notes -Knowledge base article with release notes, limits, and restrictions (such as invalid characters in file names). You can share your feedback in Office 365 UserVoice and also get your queries answered in the upcoming OneDrive for Business YamJam this Tuesday 9-10 AM PST in Office 365 Network. Microsoft team commitment towards Security in the cloud is increasing day by day and transparency towards how your data is secure in Microsoft Cloud is show cased to customers through various channels, recently they published the Office 365 Customer Security Considerations Workbook and to add to the collection now they have released a detailed overview of how Office 365 controls map to the security, privacy, compliance and risk management controls defined in the Cloud Security Alliance Cloud Control Matrix (CSA CCM). Also access your Service Trust portal and review the published documents for better understanding of Microsoft Security with Office 365. Microsoft team recently made an announcement,that they are activating Yammer for every eligible Office 365 tenant both new and existing without requiring additional action on the part of admins. Yammer is used by many Organizations and available as a part of Enterprise Licensing, this new announcement includes new way of accessing Yammer from Office 365 Services and also the new innovations included in Yammer are explained clearly under "Seamless availability in Office 365" section in the below Office Blogs post. 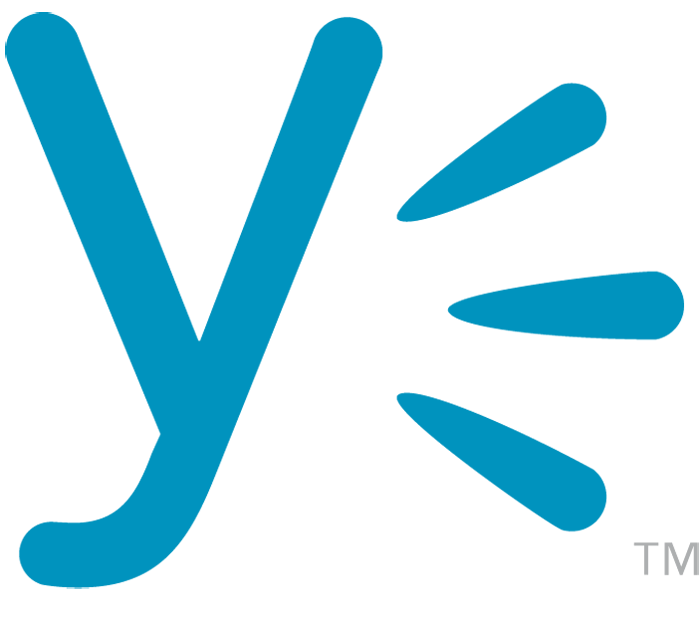 Read here: Get ready for Yammer! Be sure to read the Blog post and FAQ section for more details, Also review the below Integration article to get ready for the change. Microsoft team made a significant announcement this week by making Microsoft FasTrack available for SMBs and Enterprise customers with 50 to 149 seats, earlier this was set to 150 seats and above, this new announcement enlighten many SMBs, who are planning to move to Office 365. This move from Microsoft is essential to increase the adoption rate of Office 365 and provide quality service for all customers. Office 365 provides rich set of features that meets today's business requirements and gives you ability to enhance your productivity, get you prepare for your future goals, on the other hand the service itself is getting enhanced rapidly with rich set of new additions that you can leverage and take your business experience to the next level. Microsoft's latest cloud innovation "Microsoft Azure Stack" is the hot topic today, Azure Stack is a new hybrid cloud platform product that enables organizations to deliver Azure services from their own datacenter in a way that is consistent with Azure. Microsoft has announced the launch of general availability of its Azure Stack during Microsoft Inspire event 2017. 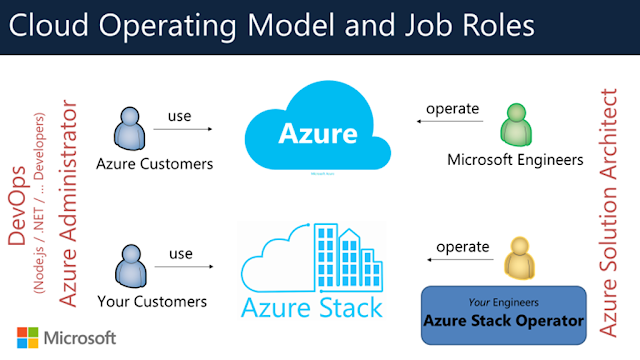 Microsoft team already started to update Azure Learning and Career path with the inclusion of Azure Stack and working to enable Multiple learning resources for this new role. 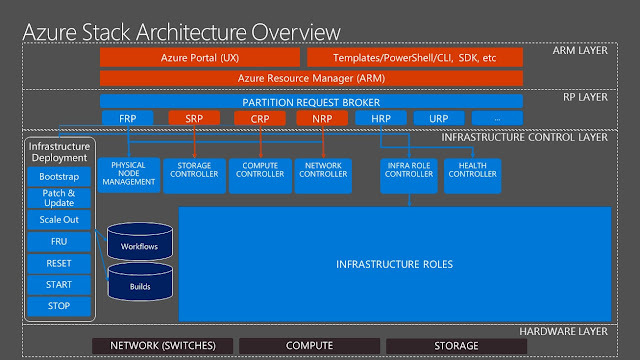 5-day in-classroom training course – “Configuring and Operating a Hybrid Cloud with Microsoft Azure Stack”. This course is currently scheduled to be published in September 2017. More updates will be available during Microsoft Ignite 2017. Access Microsoft Ignite 2017 sessions related to Azure Stack now available on demand. 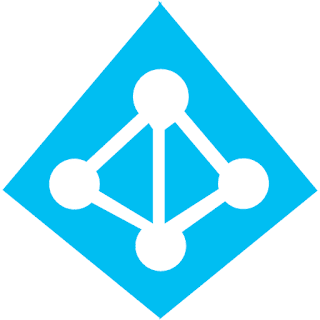 Access Microsoft Ignite 2018 Sessions related to Azure Stack now available on demand for the latest updates.